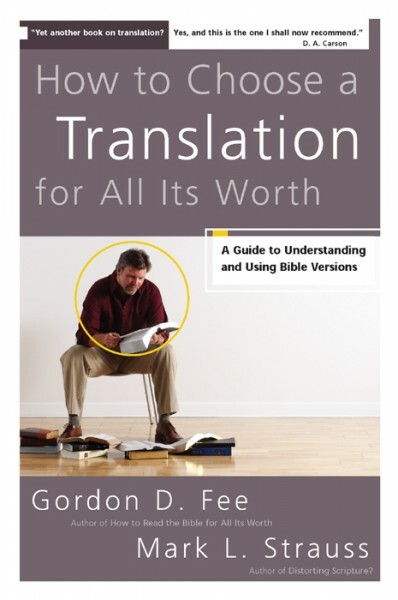 How to Choose A Translation For All Its Worth is a book on Bible translation from a premier biblical scholar. With so many Bible translations available today, how can you find those that will be most useful to you? What is the difference between a translation that calls itself “literal” and one that is more “meaning-based”? And what difference does it make for you as a reader of God’s Word? How to Choose a Translation for All Its Worth brings clarity and insight to the current debate over translations and translation theories. Written by two seasoned Bible translators, here is an authoritative guide through the maze of translations issues, written in language that everyday Bible readers can understand. Learn the truth about both the word-for-word and meaning-for-meaning translations approaches. Find out what goes into the whole process of translation, and what makes a translation accurate and reliable. Discover the strengths and potential weaknesses of different contemporary English Bible versions. In the midst of the present confusion over translations, this authoritative book speaks with an objective, fair-minded, and reassuring voice to help pastors, everyday Bible readers, and students make wise, well-informed choices about which Bible translations they can depend on and which will best meet their needs.